It’s commonly said that there can be no drama without conflict. It should come as no surprise, then, that the theme of Rivalry – with its associations of competition and tension between opposing forces – has given rise to one of our most compelling issues yet. More unexpected, perhaps, are some of the contexts in which writers found inspiration. Animals feature repeatedly, in some cases owing to the elemental contest between predator and prey. Nick Norton in “The Goat and the Bridge” weaves an offbeat fable about a goat who resists tradition to overcome a loathsome foe. Eleanor Matthews presents another parable, this time featuring an unconventional ménage à trois between a husband who’s a little too fond of his pig, and his pragmatic – and hungry – wife. In “The Bird Club”, Gordon Gibson portrays the antagonistic exertions of obsessive bird-watchers. One of the issue’s two non-fiction pieces, Australian writer Alexandra O’Sullivan’s “Throwing Stones”, explores the equestrian rivalry between two school friends, interweaving literary analysis of childhood classics that shed light on fraught youthful friendships. The issue’s opening story, “As Well for the Coowe Calfe”, may allude to matters bovine, but there the animal associations end. Josephine Warrior’s historical fiction, like many other pieces in the issue, revolves around romantic tensions: between husband and wife (Samuel Pepys and his bride, in Warrior’s tale); spouse and lover (Patrick Mondaca’s “Bathsheba Wears Prada”); girlfriend and other woman (Philippa East’s “Kraken”). Also in the domestic realm, a father’s jealousy over his wife’s attention to their children leads to an unbearable silence in Sarah Evans’ “The Long Sulk”. The odd one out in this edition, as far as the thematic context goes, is Maryah Converse’s memoir “Trust on the Nile”, which contrasts her experience of Jordan versus Egypt while working in the region as a Peace Corps volunteer. The differences between the two countries set up a rivalry inside her mind, and Converse provides some fascinating cultural insights as she unravels her internal responses. 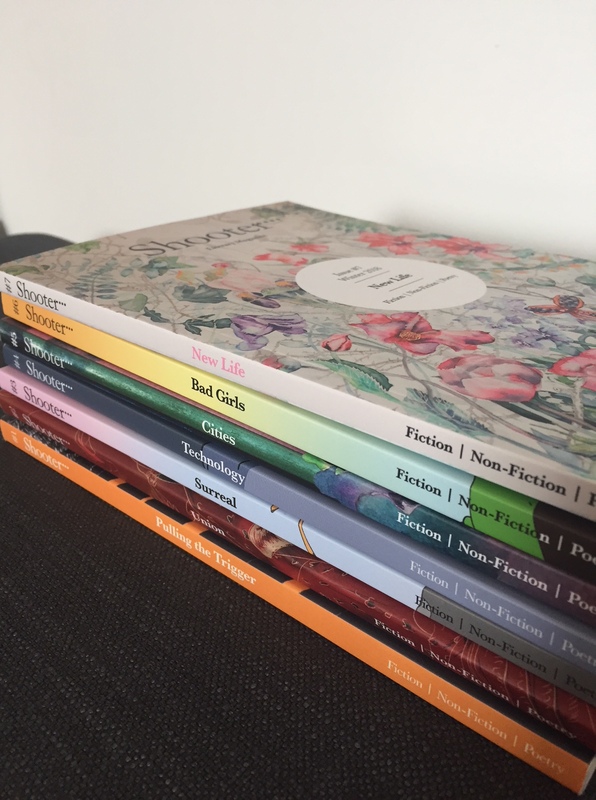 Another treat within the current issue (and in keeping, coincidentally, with the subject of marital tension) is the result of the 2018 Poetry Competition. The best poems were so strong on this occasion that we awarded the top prize to two poets: Elisabeth Sennitt Clough, for “The Butterfly and the Stone”, and Rowena Cooper, for “A Divorcee Talks Through Block Universe Theory”. Both merge innovative structures with challenging ideas, producing multilayered poems that bestow themes of intimacy and marital strife with a sense of timelessness. As they happen to have a lot in common, I think you’ll see why it was difficult to choose between the two. Consequently, they’re our first joint winners, and in addition to both poems appearing in the print edition, you can read them online. The competition’s elegant runner-up, “African Night” by Isabella Mead, is also presented on our website. Conflict may drive drama, but satisfying stories also require resolution. We might heed the real-life counsel of one of the issue’s characters when considering how to heal a breach. Samuel Pepys, in his seventeenth-century diary, observes, “Strange to see how a good dinner and feasting reconciles everybody.” If some of the characters in this issue fail to resolve their rivalries, may Shooter at least entertain you well before commending you to your supper. To order the Rivalry issue or sign up for an annual subscription, please visit the Subscriptions page. We’re delighted that the Times Literary Supplement this week chose to include Shooter in its annual issue covering notable literary journals. Please buy a copy to read Katie Mennis’s review in full, which focuses on the recent “New Life” and “Dirty Money” issues, or read the teaser here. With that in mind, writers still have two weeks in which to fire bullets, not blanks, for the “Rivalry” issue (deadline November 11th) or the 2018 Poetry Competition (November 25th).